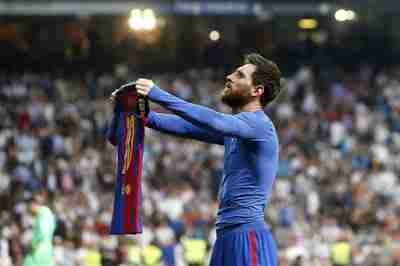 Messi is usually approached by other players to swap shirts, except on one occasion when he did the asking. In an interview with Spanish publication Invictos, Messi admitted that once in his career, presumably back in 2005, he asked a player to swap shirts. And interestingly the footballer played for Barcelona’s bitter rivals, Real Madrid. “I don’t ask for shirts. If there is an Argentine, I will swap with an Argentine,” explained the 29-year-old. “If not and there is someone else that asks me, I will swap it with them. If not, I do not look and do not ask.